Where? Paris Expo Exhibition Centre, Porte De Versailles, Paris, France. What channel is it on? The PS4 Continental Cup finals will be televised live on Fox Sports 1 from 08.00 to 10.00 PT in the United States. Can I follow the tournament on Twitter? Updates will be provided on PlayStation Europe’s official Twitter page. Also be sure to search the hashtags #PS4ContinentalCup, #PLAYSTATIONPGW and #FIFAeWorldCup. Don’t forget to follow any players competing in the event along with their respective clubs/organisations, who are likely to provide real time updates on their progress. The FIFA 19 Continental Cup 2018 will be contested by 32 players who will compete in a group stage format that leads into a knockout bracket. Of the 32 players, half of them will progress from the group stages into the Round of 16, from which they will contest a single elimination bracket where the last two standing will compete in the Grand Final. The schedule of the tournament released by PlayStation is below. Are there rules regarding what teams/players can be used for the tournament? Each game will be played in the FIFA Ultimate Team mode, with each player free to use their own UT in the competition. Who will be competing in the tournament? 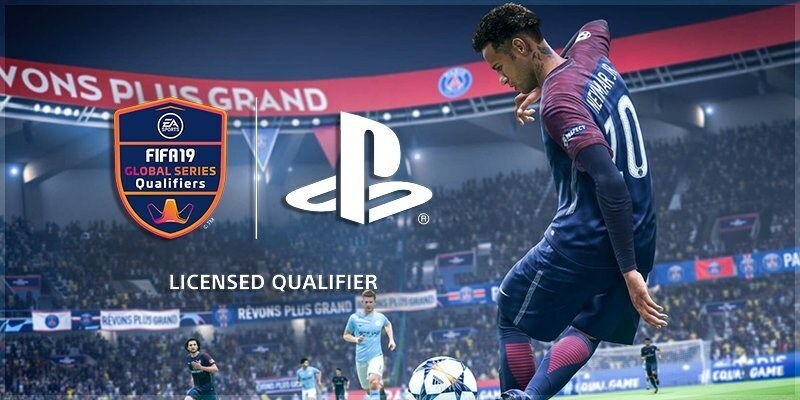 A total of 32 PlayStation 4 players around the globe have qualified for the FIFA 19 Continental Cup through a series of regional online qualifiers hosted by popular eSports tournament provider ESL Play. Below is a graphic provided by ESL Play, which shows the amount of qualifying slots available for players of each region. A cash pool of €50,000 is on offer at the PS4 Continental Cup as well two tickets to the 2018-19 UEFA Champions League final. However, the major prize that every single one of the 32 players wants to win most of all are those all important FIFA pro points, which will increase their chances of qualification for the EA Sports FIFA 19 Global Series Playoffs and the first step towards qualification for the 2019 FIFA eWorld Cup. A number of familiar FIFA eSports faces will be making the trip to Paris for the first major offline tournament of the FIFA 19 season. None perhaps more familiar than the 2014 FIFA eWorld Cup champion August “Agge” Rosenmeier. This will be his first live event since leaving Hashtag United for Team North, the Danish eSports organization founded by football club FC København. “Agge” will be desperate to start life at his new home in the strongest possible way as the veteran gears up for yet another long season of FIFA. The 2018 ESL German champion and Virtual Bundesliga champion will also be in attendance as FC Basel’s Tim “TheStrxngeR” Katnawatos leads the charge of the three German participants alongside fellow 2018 FIFA eWorld Cup finalist Mohammed “MoAuba” Harkous of Werder Bremen. Both players will be attending their first major offline tournament since the FIFA 18 season climax at the 02 Arena in London. “TheStrxngeR” is also coming off the back of qualifying for the first FUT Champions Cup event of the season which takes place next month. Of the UK players who have qualified for the Continental Cup, one man in particular will be heading to Paris with a serious point to prove. Hashtag United’s Harry Hesketh suffered bitter disappointment after failing to qualify for the 2018 FIFA eWorld Cup, but he’ll have the perfect opportunity in Paris to remind everyone just how good he is. Despite qualifying for the Continental Cup, “Hashtag Harry” has been vocal on social media in his criticism of the new FIFA game and plans to move consoles following this weekend’s event. Won more than I lost today on PS but I won’t be at the first FUT Champs cup! I’ll be at the first event of the year next week in Paris then I’ll switch back to XBOX. Struggling to come up with words about this game and format, EA couldn’t have done a worse job all round atm 😂😂. Another UK player who has been putting in some serious work since the release of FIFA 19 and is reaping the rewards is Tom Leese of FUTWIZ. He entered the Continental Cup UK qualifiers and outlasted over 500 players to book his spot in Paris. After celebrating his 20th birthday only a few days ago, he’ll be hoping to transfer his red hot online form over the past few weeks to an offline environment in a bid to bring the Continental Cup home for FUTWIZ and the UK. The FIFA 19 Continental Cup on PlayStation 4 provides a wonderful opportunity for a FIFA eSports player to put a big trophy in the cabinet so early on in the season. With the game still so young and this being the first major tournament to be played offline, it is very difficult to predict an outcome. If ever there is going to be a big shock, it is likely to be early in the season while the well-known top FIFA eSports players are still adapting to the new game. However, we're going to predict that experience will win out at this particular event. It’s very difficult to look beyond the current form of “FUTWIZTom” along with the pedigree and winning mentality of veteran “Agge”. Ultimately, though, we're going to tip FC Basel’s “TheStrxngeR” to take victory in Paris. Katnawatos is coming off the back of a fantastic FIFA 18 season and looks to have taken that form into FIFA 19. He seems to have the right mix of online form and offline experience which could see him bring home the first major championship of the season this weekend.